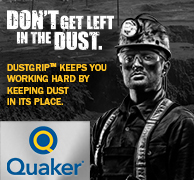 April 9, 2019 - When Wyoming's coal industry began climbing out of a historic slump, many hoped for a period of stability. 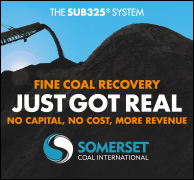 But more and more uncertainty is arising in the Powder River Basin, from fears of new bankruptcies and producers potentially selling at a loss to the pressing problem of continued coal plant closures. 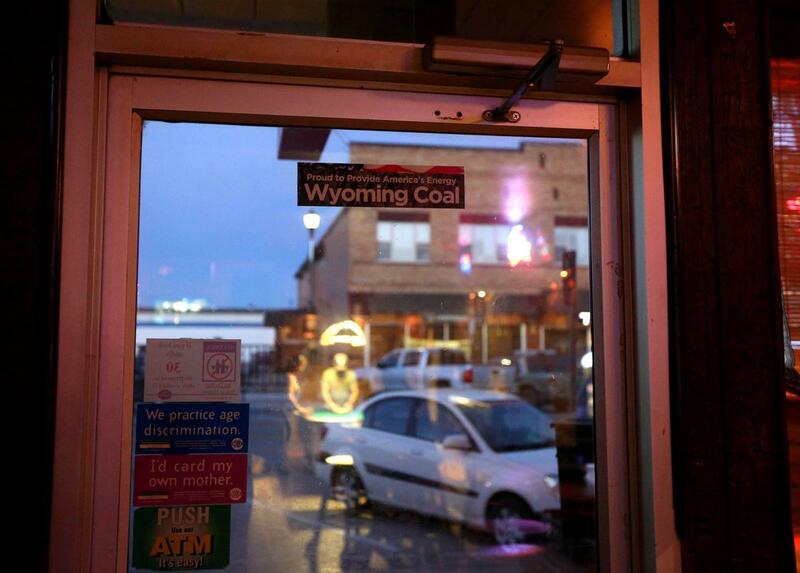 Stickers and signs touting Wyoming coal are abundant around Gillette, including on the door of the Center Bar downtown, as shown last summer. Wyoming policymakers have yet to wrangle with the potential decline in revenue and community degradation, but some say it is on the forefront of their minds. Blackjewel LLC, the operator of the Eagle Butte and Belle Ayr coal mines, has agreed to a deal with Campbell County on paying its delinquent taxes over the next year. An early request by the company to go on a payment plan was not agreed to by the county, but this new deal has the firm paying it's debt on a weekly and then monthly basis. In the midst of a partial federal shutdown earlier this year, about one quarter of the drilling permits approved by the Bureau of Land Management were for applications for permits to drill in Wyoming. Gov. Mark Gordon has asked the public to offer feedback on the state's sage grouse strategies as guided in executive orders that date back to the Dave Freudenthal administration. Sage grouse management on the federal level has gone through a significant overhaul in the last year, with many arguing that the changes from the Trump administration give oil and gas more access to work in the bird's habitat. This has particularly become a bone of contention in regard to leasing public land to oil and gas firms. Others, in Wyoming, have argued the state's plans -- guided the governor -- are still robust enough to keep the bird off the endangered species list. Oil has hit a five-month high on OPEC discipline, and the rig count has jumped by 15. The Bureau of Land Management will hold the annual Continental Divide-Creston Natural Gas Development Project meeting at 4 p.m., April 18 in Rawlins, a requirement from the BLM's record of decision for the project in 2016. The project is approved for a 9,000-well expansion of the natural gas field with an estimated production of 12 trillion cubic feet of natural gas and 167 million barrels of condensate over its three- to four-decade lifespan, according to the BLM.